What’s the Right Vitamin D Level? There's a running controversy, thanks to conflicting studies, over what constitutes a "normal" vitamin D level. Here, we shed light on the topic. 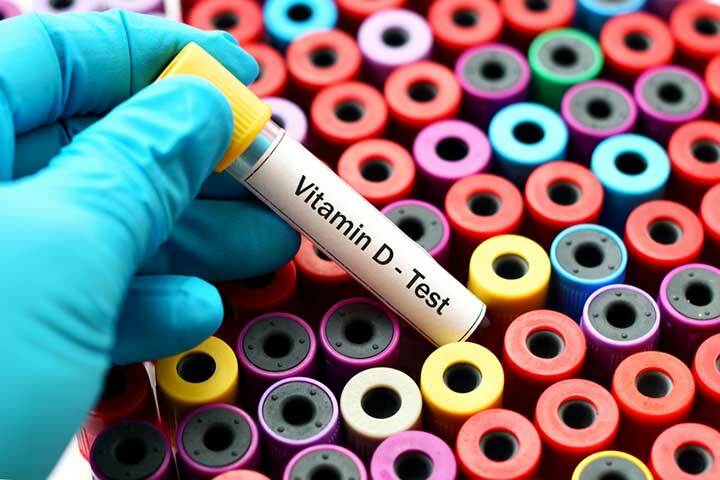 While the debate rages on among experts as to what blood vitamin D levels constitutes “normal," most would agree that levels of 10 ng/mL or lower suggest a real deficiency. We know we need vitamin D: It contributes to healthy muscles and bones and also plays a role in our mental well-being. In fact, new research from The Irish Longitudinal Study on Aging (TILDA) at Trinity associates vitamin D deficiency with a substantially increased risk of depression—more than 75 percent—over a four-year follow-up period. Published in The Journal of Post-Acute and Long-Term Medicine, the results are important, the authors note, “given the high prevalence of vitamin D deficiency among older people [and] the fact that supplementation has a low risk of toxicity or side effects.” So, how do we know our vitamin D level is normal? The 25-hyroxyvitamin D blood test—often referred to as the 25(OH)D test—is the most accurate way to assess the amount of vitamin D in your body. It’s usually measured in nanograms per milliliter, or ng/mL. But again, what’s the right vitamin D level, according to research? This is where things get problematic. There is no universal agreement on what constitutes an ideal vitamin D level, and studies are contradictory. In 2007, Michael F. Holick, M.D., Ph.D. published an article in The New England Journal of Medicine stating that vitamin D levels ranging between 21 to 29 ng/mL were linked to an increased risk of various diseases, including cancer, diabetes, and depression, among others. Thus, he opined that the “normal” values at that time should be lowered to below 21. Then, in 2010, the United States and Canadian governments asked the Institute of Medicine (IOM) to assess data on health outcomes associated with calcium and vitamin D. Their conclusion was a vitamin D level of 20 ng/ML or higher was “normal” and a vitamin D deficiency occurred only in levels below 20 ng/ML. To make things even more confusing, in 2011 The Journal of Clinical Endocrinology & Metabolism published a study that suggested vitamin D levels of 30 ng/mL were considered “normal”—but to guarantee an optimal level, 40 to 60 ng/mL was recommended in adults and children. So, what’s the right vitamin D level? Below 20 ng/ML? Above 20? Above 30? Above 40? 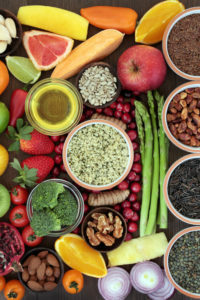 While the debate rages on among experts as to what blood vitamin D levels constitute “normal,” most would agree that levels of 10 ng/mL or lower suggest a real deficiency, and that people in high-risk groups should have a level above 20 to 30 ng/mL (including perimenopausal, pregnant, or lactating women as well as people with any type of bone disease). However, integrative doctors and naturopaths say “normal” levels should be as high as 50 to 70 ng/mL. It is important to make sure that levels do not go above 100 ng/mL. Now that you have a better idea of “normal” vitamin D levels, what should you do if you’re vitamin D deficient? First, you need to know that vitamin D is available in two different forms—D3 (cholecalciferol) and D2 (ergocalciferol). Vitamin D3 is the form of vitamin D that can be obtained via sunlight or exposure to a light therapy box. It’s also the form you’ll find in over-the-counter supplements. Vitamin D2, on the other hand, is the type of vitamin D most frequently prescribed by physicians. Adults can take vitamin D3 supplements at levels between 1,000 IU and 5,000 IU per day. Generally, a dose of 3,000 to 5,000 IUs per day is required to maintain levels between 30 to 50 ng/mL. It is not recommended that you take more than 5,000 IUs per day unless under the direct supervision of a doctor. And, children should not take vitamin D supplements without consulting a family doctor or pediatrician. After supplementing for 30 days, be sure to re-test your vitamin D levels and then adjust your daily intake of vitamin D accordingly. You can learn more about vitamin D deficiency symptoms and the best vitamin D sources by clicking here to access our free guide. Are You Getting Enough Vitamin D To Prevent Osteoporosis Symptoms? aging, blood pressure, bone, bone disease, calcium, cancer, children, depression, diabetes, diabetes and depression, effects of vitamin d deficiency, food, for high blood pressure, health, high blood pressure, institute of medicine, integrative, light therapy, metabolism, natural remedy, natural remedy for high blood pressure, nutrition, osteoporosis, osteoporosis symptoms, prevent osteoporosis, remedy for high blood pressure, side effects, supplements, supplements for fatigue, vitamin, vitamin d, vitamin d deficiency, vitamin d deficiency symptoms, vitamin d3, vitamin supplements. I thought you might be interested in this article on https://universityhealthnews.com: What's the Right Vitamin D Level?